Present the champions there trophy. The final game of the tournament featured Icemen and Dirty Girls 4 Life for the Menehune Invitation "Blind Children Center" Championship Game, the "LUAU". After watching every team play this weekend, I thought the Icemen were favored to win it all, but the result suggested otherwise as Dirty Girls 4 Life were eventually named the champions with a 80-76 win over their opponent. Statistically speaking, the two teams were almost neck to neck in every category. The only edge that could be found that favored the winner was that Dirty Girls 4 Life out-rebounded Icemen 13-8 in the offensive rebound category which resulted in 6 more shot attempts for them (63-57) while both teams shot in the high 40's in field goal percentages (49.2% Dirty Girls 4 Life, 47.4% Icemen). This was a semi-stop clock game, meaning that the clock stopped running on shooting fouls which also allowed the two teams to entertain their audiences with a high scoring game, 156 combined. Dirty Girls 4 Life's #12 Billy Nguyen just kept on getting better game after game. He had his best performance in the tournament this game with 24 points, an incredible 16 rebounds, 5 assists, 4 steals and 2 blocks as he played every minute in the tournament. Teammate #24 Yama Kader who sported a eye-catching glowing yellow short can be seen hustling on both ends of the floor as he finished with 23 points, 5 rebounds, 1 assist and 5 threes (5-10, 50%). Kader is also the tourney's leading scorer with his 20.7 PPG. #11 Ray Roazol had 17 points, 2 rebounds and 1 block; #3 Justin Santiage added 10 points, 5 rebounds and 1 assist. Icemen were led by #34 Mitch Marmelstein with 19 points, 3 rebounds, 1 assist, 1 steal and 1 block. #5 Brandon Lin, Icemen's tourney team scoring leader with 15.5 PPG had 18 points, 5 rebounds, 2 assists, 1 steal and 1 block; #32 Ryan Hurst had 14 points and 2 rebounds; #21 Dane Okuda had 9 points, 3 rebounds and 2 assists; #23 Ethan Nakano added 9 points, 1 rebound and 3 assists. In the final seconds, Billy Nguyen's clutch free throws was able to help his team secure the narrow margin win over a very athletic team in Icemen. He was named the Tournament MVP and Yama Kader, Ray Roazol, Mitch Marmelstein and Brandon Lin were named to the All Tournament Team. Game 15: ALOHA CHAMPIONSHIP GAME (3rd Place) Menehunes-LVI vs EAST WEST BANK. East West Bank was crowned the "Aloha" Champions and point guard #8 Suk Ahn was name the MVP in an overtime thriller over the Menehune-LVI 71-65. East West Bank was led by #8 Suk Ahn with 17 points, 1 rebound and 2 assists as he finally opened fire after scoring 0 points in the first game and 8 points in the second game; displaying his veteran presence and took matter into his own hands when it counts. #33 Sam Kim had big game with his first double-double in the tournament, scoring 16 points, grabbing 11 boards, 1 steal and 1 block. #11 Andrew Kim had 11 points, 5 rebounds, 2 assists and 1 steal. Menehune-LVI was led by #44 Anthony Ancon with a game-high 20 points in just 21 minutes of playing time. He also had 4 rebounds and 1 assist. Sharp shooter #15 Chris Hoe who flew all the way from Hawaii to play the tournament, came up big this game by scoring 15 points (5 for 6 from behind the arc) with 3 assists and 3 steals. #20 Billy Hoffman had 14 points, 5 rebounds and 2 steals. #25 Bryant So had 11 points, 5 rebounds, 1 assist, 1 steal and 1 block; #50 Steve Chang didn't play well in this tournament as he only averaged 7.33 points per game through 3 games including this game. He is definitely capable of 20 points per game and instead, he concentrated on grabbing board, hauling in a game-high 15 rebounds along with 2 points, 4 assists and 1 steal. With 28 seconds left in regulation and score 64-61 in favor of Menehune-LVI, #67 Paul Chin (9 points, 3 rebounds, 4 assists, 4 steals and 1 block) made a layup to bring his team within 1 point, 64-63. Anthony Ancon was fouled and only made 1 out of 2 from the bonus free throws, 65-63 Menehune-LVI. At 0:08, Suk Ahn made a two to tie the game at 65 a piece to force overtime. Anthony Ancon managed to launch a half-court shot that nearly went in. In the OT with 50 seconds left, Sam Kim from East West Bank hit a 3 on the top from a nice pass by Andrew Kim to register the first basket in the extra period. Menehune-LVI started fouling and Paul Chin made 1 FT's and Sam Kim made 2 FT's to seal the win. Alpine Striders were down by 10 points at half time (18-28) and coach Tony Wong came to the rescue against with his sideline presence. He instructed his players not to give up and keep fighting and they jumped out to out-score Taiwan Center 30-10 in the second half, eventually won the game by 10 points 48-38. Alpine's scoring leader #45 James Chen who averaged 22.6 points per game in the first 3 games (27-14-27) scored just 2 points (1-9 shooting) along with 5 rebounds, 1 assist and 2 steals. Maybe fatigue finally caught up with him in this game. However, his teammate, #8 Nelson Chan stepped up to score his tournament and game-high 20 points with 3 rebounds, 2 assists and 1 steal. #24 Kevin La also was active in this game, finishing with a double-double with 15 points, 10 rebounds, 1 assist and 1 steal. #6 Bo Huang was active on the defensive end as his finished with 10 rebounds, 2 assists, 2 steals and 3 blocks. Taiwan Center was led by #32 Andrew Der with 11 points, 4 rebounds, 1 assist and 1 block. Point guard #9 Hon Trieu had 9 points, 5 rebounds and 5 assists; #12 Bill Chao had 6 points, 8 rebounds and 4 assists; #24 Michael Lai added 4 points, 14 rebounds, 1 assist and 2 blocks. Alpine Striders won the tournament's "LAVA ROCK" Championship Game. #45 James Chen and #8 Nelson Chan were named Co-MVP's. Game 13: Dirty Girls 4 Life defeat East West Bank and advances on to the Luau Championship game. Dirty Girls 4 Life played with more aggressiveness in this matchup against East West Bank and edge them 66-57. They managed to out-score East West Bank 20-3 from the free throw line as they constantly attacked the rim. East West Bank shot 6-27 from behind the arc versus Dirty Girls 4 Life's 4-14 which showed us that East West Bank's primary offense leaned more on the outside shooting. Dirty Girls 4 Life was led by #24 Yama Kader with 16 points, 4 rebounds and 1 steal. #3 Justin Santiago had 12 points, 4 rebounds and 2 steals; #15 Joseph Vitug had 11 points, 3 rebounds and 2 steals; #12 Billy Nguyen had 9 points, 11 rebounds, 2 assists, 2 steals and 2 block; #11 Ray Roazol added 8 points and 8 rebounds. East West Bank was led by #33 Sam Kim with 13 points, 9 rebounds, 2 steals and 1 block. #11 Andrew Kim had 10 points and 3 rebounds; #5 Justin Yun had 9 points, 1 rebound, 3 assists and 1 block; point guard #8 Suk Ahn added 8 points, 10 rebounds and 6 assists. The key to this win for Dirty Girls 4 Life was not only that they were able to go to the charity stripe a lot more times than their opponent, but hitting 20 out of 24 free throw (83.3%) was just amazing. Dirty Girls 4 Life will play Icemen for the Menehune Invitational Championship. Game 12: ICEMEN defeat MENEHUNES-LVI and advance to the LUAU Championship game. Icemen defeated the host Menehune-LVI to advance to the Menehune Invitational "Blind Children Center" Championship against the winner between East West Bank and Dirty Girls 4 Life. Led by #35 Andrew Lee with 14 points and 3 rebounds. #32 Ryan Hurst had 10 points, 7 rebounds, 3 assists and 1 block; #2 Taylor Hamasaki had 10 points, 6 rebounds, 5 assists and 2 blocks; #5 Brandon Lin almost had a double-double with 8 points, 9 rebounds, 2 assists and 2 steals. It was rather a defensive game for the Icemen comparing to their 91 points per game scoring in the first two games in the tournament. They kept Menehune-LVI's shooting percentage to 36.8% versus their 43.6%. Menehune-LVI was led by #50 Steve Chang with 14 points, 10 rebounds and 2 assists, his first double-double in the tournament. #20 Billy Hoffman had 12 points, 5 rebounds, 5 assists and 1 block; #67 Raymond Hong added 9 points, 4 rebounds, 2 assists and 4 steals. Game 11: Alpine 80 defeat PTBA 41 to advance onto the LAVA ROCK Championship game. Alpine Striders destroyed Prime Time 80-35 and moved on to play the LAVA ROCK championship game against Taiwan Center. Alpine's #45 James Chen was unstoppable from long distance hitting 7 out of 14 from behind the arc. He finished with a game-high 27 points, 4 rebounds, 1 assist and 1 steal. #24 Kevin La had 14 points, 4 rebounds, 3 assists and 2 steal; #8 Nelson Chan had 13 points, 6 rebounds, 3 assists and 2 steals; #50 Raymond Lam had 12 points and 8 rebounds; #5 Justin Tan added 10 points, 5 rebounds and 2 steals. Prime Time's center #16 Simon Lo was the player that performed well in the this game, using his length on the Alpine players. He scored 21 points and grabbed 12 rebounds. #7 James Cheung had 8 points, 4 rebounds and 2 steals; #0 Shine Chai who was very active in game 2 and helped his team won the game aginst Can't Knock the Hustle, struggled as he only scored 4 points to go with 3 rebounds, 1 assist, 4 steals and 1 block. He also committed a deadly 11 turnovers which was perfect showing of how pressuring Alpine's defense was. Alpine advances to face Taiwan Center for the LAVA rock championship game. 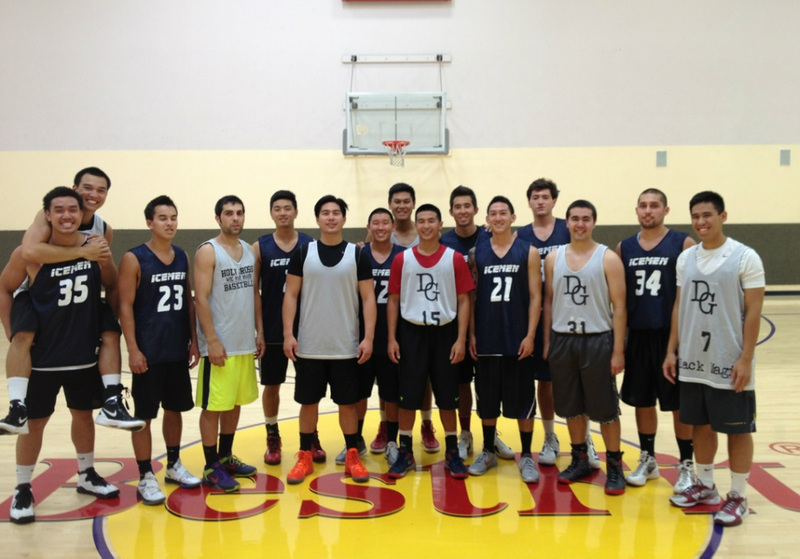 GAME 10: Taiwan Center 78 defeats Arcadia Alumni 69 to advance on in the LAVA ROCK BRACKET. This was an interesting matchup because Taiwan Center and Arcadia Alumni are both run and managed by Sean Yu. It's more like a scrimmage between the organization. Taiwan Center eventually won the game 78-69 in a friendly game. Taiwan Center was led by forward #32 Andrew Der with 21 points, 10 rebounds, 1 assist and 1 steal; his first double-double in the tourney. #10 Alex Koo had 14 points, 4 rebounds, 3 assists and 1 steal; #24 Michael Lai had 14 points, 12 rebounds and 1 steal and it was his second double-double in as games. #23 Larry Tieu added 14 points, 3 rebounds, 4 assists and 2 steal. Point guard #9 Hon Trieu had 9 points, 6 rebounds, 7 assists and 1 steal. For the Arcadia Alumni, it was like a buffet for #32 Alex Mak who launched 30 shots this game and he finished with a game-high 31 points. He also grabbed 11 boards, dished out 3 assists and block 1 shot. #10 Paul Chen had 16 points, 9 reboudns, 3 assists and 2 steal; #30 Corey Young added 14 points, 8 rebounds and 3 steals. Taiwan Center will play the winner of game 11 (Alpine Striders vs. PTBA) for the LAVA Rock Championship game. Game 9: Cant Knock the Hustle 69 defeat Run N Gun for the Friendship Champions! The second and final day of the 2012 Menehune Tournament opened up with an over-time thriller between Run N Gun and Can't Knock the Hustle. Can't Knock the Hustle was trailing by 8 points halfway through second half, but managed to make a comeback on a couple of scoring runs. Led by captain and manager # 3 Kenji Ueki with 19 points, 1 rebound, 1 assist and 5 3PT's as he sparked one of the runs with his timely three-pointers. #5 Keith Boyak had 18 points, 9 rebounds, 2 assists, 3 steals, 1 block and 2 3PT's; #21 Jay Watanabe had 10 points, 5 rebounds, 1 assist and 2 steals; #45 Niko Rosete had a huge rebounding game with 16 board, 8 points, 2 assists and 1 steal. Run N Gun had two players with double-double's: #55 Mike Reding with 24 points, 14 rebounds, 1 assist and 3 threes; captain #8 Kevin Jenkins with 20 points, 10 rebounds, 1 assist, 2 steals, 2 blocks and 6 threes. #2 Alvin Han added 13 points, 1 rebound and 4 threes. At 0:18 in the second half and Run N Gun trailing 63-65, Alvin Han made a clutch three-pointer to put his team up by 1, 66-65. Assist to Mike Reding. Jay Watanabe was fouled by Leon Medina going strong to the hoop. He made 1 out of 2 free throws to tie the game at 66 a piece to force overtime. In the overtime, Keith Boyak made the only field goal in the extra period and David Chu made a free throw. After suffering a humiliating first game lost to their opponent by 50 points, Prime Time rebounded to win a close game against Can't Knock the Hustle 66-65. At the end of the first game, Prime Time's players were disappointed and we can just see that in their eyes as if they were doubting themselves if they'll ever win a game in this highly competitive tournament. They did the right thing by never giving up and edge their opponent in the second game. Led by PTBA Spring 2012 league 3-point contest champion #23 JJ Aguilera with 15 points, 1 rebound, 1 assist, 1 steal and 5 threes. He certainly had stepped up for this team, draining clutch 3's when needed. #1 Henry Wang had 12 points, 3 rebounds, 2 assists and 1 block. He was the energizer this game, hustling up and down the court with determination. #0 Shine Chai, after the bad loss in the first game as he took personal responsibility and redeemed himself by finishing the game with 12 points, 9 rebounds and 4 assists. #7 James Cheung had 10 points, 4 rebounds, 3 assists and 1 steal. Another key player to the victory will be center #16 Simon Lo whose length was greatly missed in the first game and he finished with 10 points, 9 rebounds, 1 steal and 1 block. The highlight for Prime Time this game came when Shine Chai dunked the ball twice on fastbreak opportunities. Can't Knock the Hustle was led again by #5 Keith Boyak with 19 points and 5 rebounds. #20 Anthony Pinto had 16 points, 7 rebounds, 5 steal and 1 block; #2 Jay Watanabe added 9 points, 9 rebounds and 2 assists. With about 4 second left in the game and down by 1 point, Kenji Ueki launched a long three which didn't hit the rim. It was then rebounded by Anthony Pinto who attempted a reserve layup, but came up short by hitting the iron. It could have counted if it went and turn the whole game around. Prime Time got lucky this time, but they'll be glad to take it. Prime Time will face Alpine Striders tomorrow at 12PM and Can't Knock the Hustle will matchup against Run N Gun at 10AM. Fresh out of a big win over PTBA 108-58 in the first game for Icemen, they defeated Taiwan Center in a dramatic last second buzzer beater 74-72. Icemen were led by #34 Mitch Marmelstein with 23 points, 6 rebouds, 2 assists and 1 block. #5 Brandon Lin had 15 points, 4 rebounds, 1 assist and 1 steal; #23 Ethan Nakano added 13 points, 2 rebounds and 1 assist. They continue to shoot at a high percentage, going 28-55 from the floor at 50.9% overall. Taiwan Center was led by #24 Michael Lai's double-double with 31 points, 15 rebounds and 1 steal. #8 Larry Tieu had 18 points and 6 rebounds; #3 Andrew Der who made a buzzer-beating three-point basket at half time finished with 10 points, 3 rebounds and 4 asssits. At the 0:45 mark, Andrew Der went to the hole and made a layup to tie the game at 72 a piece. At 0:31, #9 Hon Trieu (3 points, 5 rebounds, 3 assists and 1 steal) stole the ball from Mitch Marmelstein, but Taiwan Center didn't take advantage of it by scoring in the possession. At 0:06 Larry Tieu set up Andrew Der nicely with a knee-high bounce pass along the baseline, but Der failed to secure the ball and out of bound Icemen ball. With 6 seconds left to play, score still tied at 72. Icemen's last play fell on #2 Taylor Hamasaki's (9 points, 6 rebounds, and 3 assists) hand. He dribble the ball across the half court and pulled up a timely mid-range jumper, just enough to beat the buzzer. The crowd went wild! And that was the game. Menehune-LVI won their opener over Can't Knock the Hustle 64-53. Led by #25 Bryant So with 15 points, 8 rebounds, 1 assist and 2 steals; #67 Raymond Hong with 13 points, 2 rebounds, 2 assists and 1 steal; #44 Anthony Ancon with 10 points, 3 rebounds, 4 assists and 1 steal as they jumped on their opponent with a explosive first half lead with a score of 43-14 at half time. Reminded us that the previous game against when Icemen jumped out with a 61-19 first half score against PTBA. Can't Knock the Hustle was led by #5 Keith Boyak with 15 points, 4 rebounds and 1 steal. He also had an alley-oop dunk as the highlight of the game, man, he got some serious hop. #15 Kenji Ueki had 12 points, 3 rebounds and 3 assists; #22 Anthony Pinto had 10 points, 3 rebounds, 1 steal and 1 block; #21 Allen Sales added 10 points and 1 assist. #2 Jay grabbed 9 rebounds along with 4 points, 4 assists and 1 steal and #35 David Chu grabbed 10 rebounds along with 2 points and 1 assist. Can't Knock the Hustle did manage to out-score Menehune-LVI in the second half 39-21, but it was all too late as they couldn't recover from the big deficit in the first half. Menehunes-LVI advance on in the LUAU bracket and take on the winner of Taiwan Center vs ICEMEN tomorrow in the Semifinal game. Cant Knock but Hustle plays PTBA at 5pm for in the LAVA ROCK bracket. Icemen opened their 2012 Menehene tournament with a big bang against PTBA as they slaughtered their opponent 108-58, a 50-point difference. The score is comparable to Team USA's olympic squad when they defeated Tunisia 110-63 last Tuesday with a 47-point deficit. Icemen were led by #23 Ethan Nakano with a game-high 22 points (10-15, 66.7%), 5 rebounds and 2 assists. #2 Taylor Hamasaki had 21 points (10-12, 83.3%), 7 rebounds, 3 assists, 7 steals and 1 block, filling up the stats sheet while shooting 9 for 9 with the 2-point field goals. #5 Brandon Lin had 21 points (8-11, 72.7%), 4 rebounds, 1 assist and 3 steals; #35 Andrew Lee had 16 points ( 7-11, 63.6%) and 8 rebounds; #34 Mitch Marmelstein had 10 points (5-10, 50%), 7 rebounds and 5 assists; #32 Ryan Hurst added 8 points, 10 rebounds and 2 assists. Prime Time (PTBA) was led by #7 James Cheung with 20 points, 6 rebounds and 2 steals; #0 Shine Chai had 12 points, 2 rebounds, 2 assists and 2 steals; #25 Ace Lee added 10 points, 3 rebounds, 2 assists and 1 steal. It was obvious that PTBA didn't have any chemistry on both ends of the floor as confusions and miscommunication amongst teammates could be spotted throughout the game. They were able to turn on some offense by scoring 39 points in the second half while only scoring 19 in the first half. Three of the starters didn't show up to play because of the Nike 3-on-3 tournament at Staples Center this weekend. It's tough to win games without playing defense and PTBA allowed their opponent to shoot at a high accuracy at 58.5% on 48-82 from the floor. On the top of that Icemen out-rebounded them 45-25; PTBA also had 10 more turnovers 19-9. The blowout result was imminent from the start. Icemen will move on to play against Taiwan Center at 4PM today and PTBA will play against Can't Knock the Hustle at 5PM. ICEMEN advance onto play Taiwan Center at 4pm in the LUAU Bracket division. Arcadia Alumni finished the game strong despite being down 28-29 at the half. Led by swingman #22 Alex Mak with a well-rounded display, scoring a game-high 19 points, grabbing 8 rebounds, dishing out 7 assists and stole the ball 5 times. #23 Drew Bryant had 16 points, 4 rebounds and 1 block; #25 Paul Chen had 8 points, 6 rebounds and 2 steals; #32 Christian Yeung added 8 points, 8 rebounds, 1 assist and 2 steals. To Run N Gun, it was their second loss in this tournament. They jumped out to a quick start, but Arcadia Alumni was able to keep up with them. They were led by #22 Mike Reding with 13 points, 2 rebounds, 1 assist and 1 steal; captain and manager #8 Kevin Jenkins had 11 points, 7 rebounds and 2 assists; #96 Kai Hopton had 10 points, 7 rebounds, 1 assist and 2 steals; #21 Alvin Han added 9 points, 2 rebounds and 1 assist. With this win, Arcadia Alumni will play the winner between Taiwan Center and Icemen tomorrow at 11AM while Run N Gun faces the loser between Can't Knock the Hustle and PTBA at 10AM. Arcadia Alumni advances into the LAVA rock division and will play LAVA ROCK BRACKET and will play the looser of game 7 at 11am. RUN N GUN will play for the MAKAMAKA Bracket championship game tomorrow at 10am against looser of game 8. Game SummaryIn the third game of the 2012 Menehune Tournament, the match featured high octane teams East West Bank a.k.a. Blue Canvas a.k.a. LA Dragon versus the Alpine Striders. These two teams had great traditions and history playing against each other for decades. East West Bank edged Alpine Striders 51-47 in this one. East West Bank was led by # 11 Justin Yun, one of the areas most fearless and streaky long range shooter, with a game-high 15 points, 5 rebounds, 3 assists, 1 steal and 5 three-point field goals. #1 Andrew Scott had 9 points, and 1 rebound; #33 Sam Kim had 8 points, 4 rebounds, 1 assist and 1 steal; #67 Paul Chin had 7 points, 1 rebound and 1 assist. #11 Andrew Kim had 9 rebounds to go with 2 points and 1 assist. Alpine Striders were led by #45 James Chen with 14 points, 7 rebounds, 2 assists and 3 steals and #5 Justin Tan with 14 points and 7 rebounds. #8 Nelson Chan added 11 points, 4 rebounds, 2 assists and 1 steal. In the final minutes, Paul Chin from East West Bank sank consecutive baskets including a three-pointer to put his team up by 4 points at 48-44. At the 1:30 mark, James Chen scored a layup off of Bo Huang's assist (3 points, 7 rebounds, 3 assists, 2 steal and 1 block) to get Alpine within 2 points at 48-46. At the 1:00 minute mark, Justin Yun hit a big 3-pointer to increase the lead to 5 points at 51-46 with Sam Kim's assists and that was the game. EAST WEST BANK advances on to face Dirty Girls 4 Life in the Semifinals for the LUAU Championship Bracket at 2pm. Alpine Striders play in the LAVA ROCK Bracket tomorrow against Winner of Game 8 at 12pm noon. Dirty Girls 4 Life out-lasted Run N Gun and pulled away from what was a close game at the halftime (39-37) to win the game 67-53. Dirty Girls 4 Life was led by #6 Yama Kader with 23 points, 1 rebound and 2 steals; #15 Joseph Vitug had 13 points and 5 rebounds; #12 Billy Nguyen had double-double with 12 points, 11 rebounds, 2 assists and 1 block; #43 Justin Santiago added 10 points, 8 rebounds and 3 steals. Run N Gun was led by #22 Mike Reding with 18 points, 6 rebounds and 3 assists; captain and manager #8 Kevin Jenkins had 12 points, 5 rebounds and 1 assist; #96 Kai Hopton added 10 points, 4 rebounds and 1 steal. 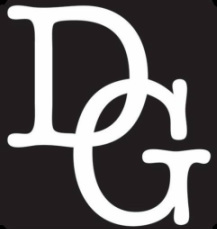 Run N Gun was out-rebounded by Dirty Girls 4 Life 27-33 (8-12 offensive) and it resulted in 13 more shot attempts for their opponent on the top of their opponent's higher shooting percentage at 45.3% versus their 41.2%. Dirty Girls 4 Life will move on to play the winner between East West Bank and Alpine Striders tomorrow at 2PM while Run N Gun will face Arcadia Alumni today at 1PM. DIrty Girls 4 Life Advance onto the Semifinals and take on the winner of East West Bank vs. Alpine A+ in the LUAU Bracket. RUN N GUN play at 1pm against Arcadia Alumni in the LAVA RACK Bracket. The 2012 Menehune Tournament started with the Alpine Striders defeating Arcadia Alumni 49-32. Alpine did their damages in the first half by out-hustling their opponent to finish the half with a score of 32-19. #45 James Chen, a sharp three point shooter made 5 out of 7 from behind the arc. He finished the game with a game-high 27 points and grabbed 4 rebounds. None of other players on both teams had score in double-digits besides Chen. Arcadia Alumni was led by #23 Drew Bryant with 9 points, 5 rebounds, 1 assist and 2 blocks; #32 Alex Mak with 9 points, 2 rebounds and 1 assist. Captain and manager #7 Sean Yu added 8 points and 1 assist. It was surprising for Sean Yu not to record any rebound in this game as he averages 12.5 rebounds per game during regular season play in the PTBA Summer League through 4 games. Alpine is known for their hustling from the beginning to the end of the game, even with large leads. If players don't work hard, I guarantee that you will hear it from their famous head coach Tony Wong on the sideline. Arcadia Alumni will play the loser between Dirty Girls 4 Life and Run N Gun while Alpine will take on East West Bank in their second match ups later on today. Alpine Striders move on to play East West Bank at 12pm in the LUAU BRACKET. Arcadia Alumni Play at 1pm against looser of Drity Girl 4 Life vs. Run N Gun at 1pm in the LAVA ROCK BRACKET. Any donations will be greatly appreciated for this cause, just email Menehunes if you want to help out. Icemen is making there debut in the Menehunes Invitational tournament this year. 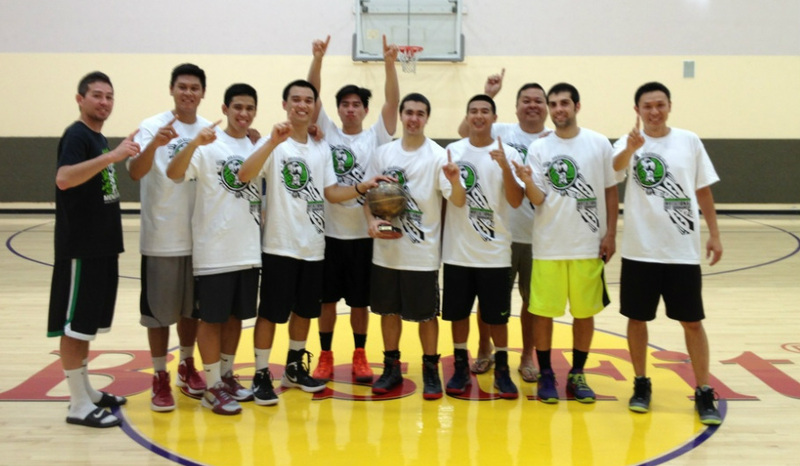 They are a new and upcoming team, stationed out of Orange County, in the Asian American Basketball world. Coached by a tag team dual: Head Coach Susan Hamasaki and Assistant Coach Vince Hamasaki and helper Coach Mark Nakano, ICEMEN has been a very exciting team to watch. ICEMEN participated in a few major Asian tournaments like Tigers, LA Showcase, and Nisei Week tournament and have beaten some of the top teams in Southern California. ICEMEN have deadly 3 point shooters. ICEMEN are also young and athletic, with some college basketball players (Chapman University) on the team. They are getting better after each tournament they play in this year. They are definitely an exciting team to watch. Run N Gun - one of the top A+ teams in Southern California, is ran by Team Captain Kevin Jenkins. Kevin is the heart of this team. He build this team to be a competitive one wining a tough Mofufus Halloween Tournament championship. Kevin also uses the Mofufus league as a practice league for his Run N Gun team, where they had always been a competitive team to play against. The name Run N Gun says it all, as they have quick guards and they can really gun it from behind the arc. Guys like Kevin cause match up problems because of his range from the outside and his versatility to take it to the rim. You can follow the Run N Gun facebook fan page to stay up to date with there progress. Run N Gun just recent wn the Cornerstone Tournament in the Northern California Region. Another young and upcoming team in the Asian Basketball Word. 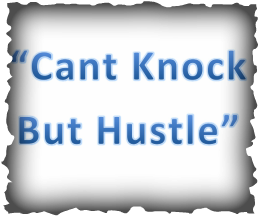 "Can't Knock But Hustle" is a team consisted of Kenji Ueki's friends. A team stationed out of the Torrance/South Bay area brings diverse to this Menehunes Invitational Asian Basketball tournament. Kenji's team has a lot of experience playing against great competition in leagues and various tournaments around Southern California. They should be a young, fun, and exciting team to watch. Tony Jew done a great job assembling a very competitive team. East West Bank, winners of the CAAA B division league is a very well rounded team. They have shooters like Justin Yun that can catch on fire from anywhere behind the 3point line and an inside presence like Jason Lynn. But Suk Ahn runs the show out there on the court. He is a veteran out there on the court that controls the temple out there on the court. 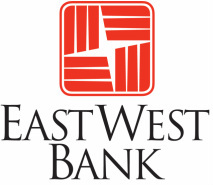 Look out for East West Bank to make there run for the Menehunes Invitational Basketball Tournament Title. CEO for BLUECANVAS Justin Yun is the leader for a top ranked Asian Club team BLUECANVAS. Watch out for him to light it up from behind the 3 point line. A team with a bright future, Dirty Girls 4 Life is lead by Team captain Andrew Quan. Dirty Girls 4 Life won the consolation championship game in last year Menehunes Tournament. They are now one of the top teams in this years tournament. They just recently came in 2nd place in the Nissei tournament. They also won numerous ABA titles and is the top team in that league. Billy Nguyen, a very versatile player can do it all out there on the court. He can shoot the 3point shot as well as put the ball on the floor. Justin Santiago is one of the hardest workers out there on defense. This team is loaded with solid guards but the man that ties it all together is there leader and captain Andrew Quan. He has a deadly 3point shot and has a great basketball IQ out there on the court. Its no wonder why Dirty Girls 4 Life is a team on the rise! With a legendary Coach like Tony Wong the Alpine Striders are one of the top Chinese Basketball organization in the country, winning major tournaments like the Chinese Olympics, Sacramento Barons Tournament, and other local tournaments. Coach Wong has developed a system of players competing in different levels. This will be Alpine A+ team competing in the tournament. Look out for a very fundamentally structured team out there on the court. Alpine Striders are always a force to be reckoned with. Another lengondary Alpine player on the roster "Kenny Phan", who played for Alpine Striders for over 20 years, is the commissioner for Mofufus Basketball. Mofufus League/Tournament is another well respected organization in the Southern California region. 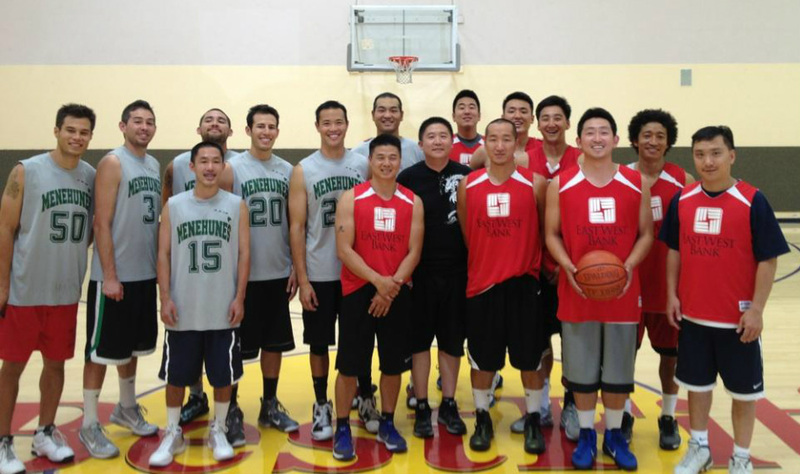 Arcadia Alumni is ran by Sean Yu, who is also the GM for Taiwan Center Mens Basketball Team. Sean Yu has been organizing this team for different leagues around the area. They compete in tournaments/leagyes like the Central Cal Cobras, Hollywood Dodgers, Tigers Tournament, Mofufus, and PTBA. Sean Yu is a new and improved player after his ACL surgery. He is joined with veterins with high basketball IQ's like John Chow and Paul Chen. Drew Bryant is one of the most athletic players in the tournament will be one of the main scorers for Arcadia Alumni. Prime Time Basketball Association, a well known basketball league in the City of Industry area has expanded over the last year. 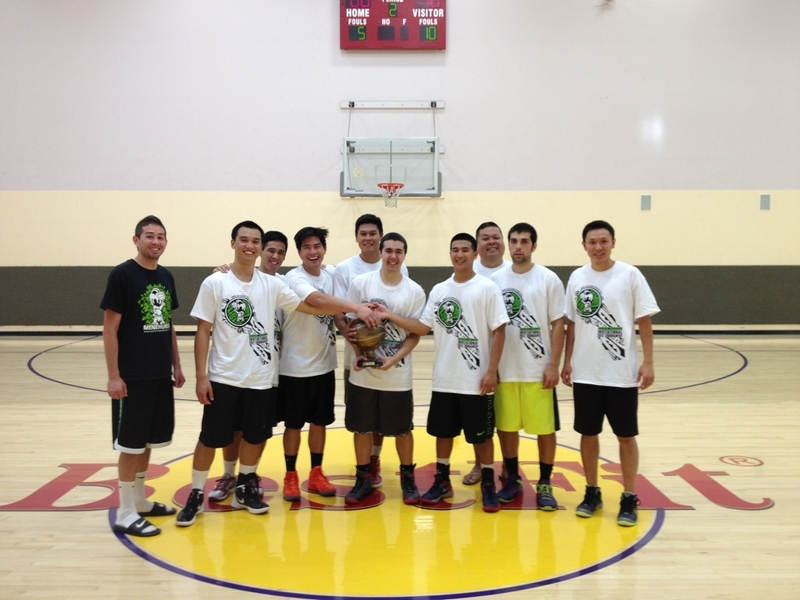 They are a league consisted of majority Asian American basketball players. They are the part of the hosting team of the Menehunes Invitational Basketball Tournament. Ace Lee the captain and PTBA League president is the captain for the PTBA team. They have a lot of veterans on his team. They should be an experienced team to watch since they played in last years Menehunes Invitational. They have versatile guards that can shoot from the outside and have big guys who can rebound as well. They bring in a solid squad to the tournament and are looking to make a statement in this years tournament. Taiwan Center is lead by general manager Sean Yu, who had done a great job in building this program to be a top Asian Basketball Team in the country. Taiwan Center is rebuilding there team for up and coming major tournaments. Taiwan Center is loaded of athletic and talented basketball players. They will be one of the favored teams to play for the title. Taiwan Center has great guards Andrew Der and Larry Tieu, as well as a dominant center Michael Lai. Hon Trieu excellent basketball IQ will help get this team going out there. They bring an exciting brand of basketball. The Menehunes-LVI A+ Open Upper team will be put to a test in this tournament. They normally play in A-Gold for Tigers and played in the LVI A+ Open Lower division last year for LVI. They have there main team with the addition of Menehunes Hall of Famer, veteran Billy Hofman to help them out. Also Ryan Lee, another Hall of Famer, just recently came off one of his better Tigers Tournament shooting wise will help run the Menehunes-LVI A+ Team. This will be a good test to see if the Menehunes can play well as a team. Its going to take a total team effort for the Menehunes to advance in this competitive tournament. This is a NFHS certified indoor game ball, size 7. All captain must sign the waver form for your team before your team can compete. Everything will be posted on www.MenehuneBasketball.com (Schedule, results, box scores, and game summaries). As part of Menehune Basektball Mission, the Menehunes organization would like to help out a chosen charity in the local community. 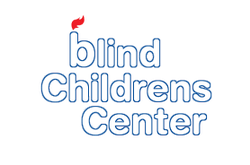 The Blind Childrens Center is located in Los Angeles CA and is a non-profit wellness center. They go above and beyond to help out children with visual imparements and visaul needs. We have someone willing to match our donation to the "Blind Children Center". So please if every player or fan can donate $5 each that will go to a good cause. A box will be given out to each coach at the beginning of the game and a donation box will be at the front of the entrance of the gym and concession stand. Thank you for showing interest in the 2nd Annual Menehunes Invitational Basketball Tournament. Our mission for Menehune Basketball is to support a local charity in the area that shows that they are making an impact in someones life. The charity chosen for is called "Blind Children Center" stationed out in Los Angeles California. The Menehunes Invitational Basketball tournament will be hosted with Prime Time Basketball Association(PTBA) at Best Fit International Gym in City of Industry, CA. It is a NBA/College size court with some cushioned seats for your team supporters. Your team has been invited into the Menehunes Invitational because #1 you are a good person, #2 your attitude for the game is great, and #3 the passion you had shown while your team competes on the court. This year we will be doing an A/A+ Men’s Division tournament (Equivalent to LVI A+ Open, A+ Mofufus tournament, A-Gold Tigers, A+ NAU). You will have games on Saturday and Sunday. All teams are guaranteed at least 2 games. Please click HERE to register your team. Sign the forms and mail payment the addresses provided by Tuesday June 25th 2012 to reserve your teams spot in the tournament. All proceeds will be donated to the charity called, "Blind Children Center" stationed out of Los Angeles California. The Blind Childrens Center's mission is to provide comprehensive early intervention, specialized education and training, in a fully inclusive family oriented environment, for children ages birth through school age who are blind or severely visually impaired and to optimize each child's development and consequent opportunities to lead an independent and productive life. Additionally, to utilize the Center's professional expertise and experience to serve families and professionals worldwide through support services, educational and training publications and research support. Please email me a team logo at Email@MenehuneBasketball.com so I can post it up on the tournament website. Also if you have to update your roster please email me. Once again I would like to thank you for all of your support for the Menehune Basketball program and if there is anything you need, feel free to contact me anytime. Best of luck to your team competing in the 2nd Annual Menehunes Invitational Basketball Tournament.